Colorful vibrant designs to brighten your life. When I first entered the world of surface patterns, I was happy to find so many great sources of inspiration. If you’re new to surface pattern design, then this top 10 blog list will give you a great introduction and inspiration to the surface pattern industry. I’ll start off with the surface pattern enthusiasts and then get deeper into the business of the surface pattern industry. My top ten includes visual libraries, online magazines, online classes, communities, designers, create your own fabric, competitions, and the design guild. This rating is not based on best to worst. These blogs are all equally important for different reasons. 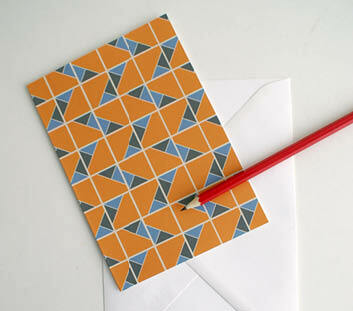 On a first glance, the print & pattern blog is visual news for the stationery and textile world. You don’t need to read entire stories, instead you can just keep scrolling and be inspired by all the visual beauty. It’s basically Pinterest for surface patterns. It is not a surprise then, that this blog is among the top surface pattern blogs as it is easy and fun to be visually inspired. Behind this visual library lies “Bowie Style” (Marie Perkins). She has not only been feeding us with the latest visual inspiration, but has also published three books: “print & pattern 1“, “print & pattern 2” and “print & pattern kids“, where she documents the latest designers and their work. Marie is also a surface pattern designer herself and has done some impressive work that is also worth taking a look at in her studio Inkjet Designs. 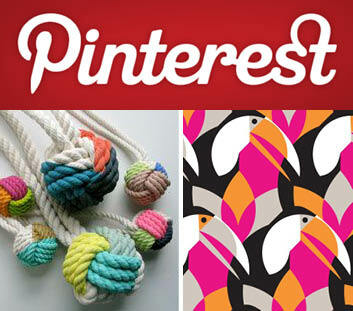 Pattern People is a blog created by the two surface pattern designers Claudia Brown and Jessie Whipple Vickery. On their blog the two designers share “daily inspiration and visual resources dedicated to the appreciation and application of print design”. What makes this blog stand out, that it also features valuable resources from trends in fashion and interiors to color palettes, DIY guides, and book reviews. The print and color trend guides for designers are helpful when planning for future designs. The blog also offers visual inspiration with their photo packs. The collections of high resolution photos are great as a source of imagery for surface pattern designers. The E-Books the blog offers, is also valuable information. If you’re a beginner in surface patterns, the E-book about how to create repeat patterns might interest you. If you’re a bit further down your career, then this surface pattern career guide E-Book might interest you. Uppercase is an offline and online design magazine founded by Janine Vangool, who has a background in graphic design. The magazine features unique products, fresh designers and emerging trends in the design industry. It’s filled with wonderful graphic design, illustration, and craft. All this inspiration is completed by lovely surface pattern designs. After working over 10 years as a graphic designer, Janine got into the greeting card industry, but soon found her passion in publishing. She has published an number of beautifully designed books about creativity, the lives of artists and story books. You can find these here. Another great perk, when you subscribe to uppercase, you’ll get the Free Surface Pattern Design Guide, expert advice on the surface pattern design industry. 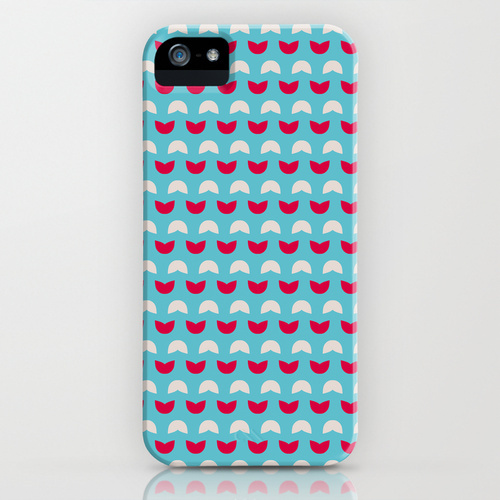 Wendy Kendall is a popular surface pattern designer from the UK. With over 10 years experience in the field, she let’s us in on her life as a professional surface pattern designer and shares with us her daily design inspiration. 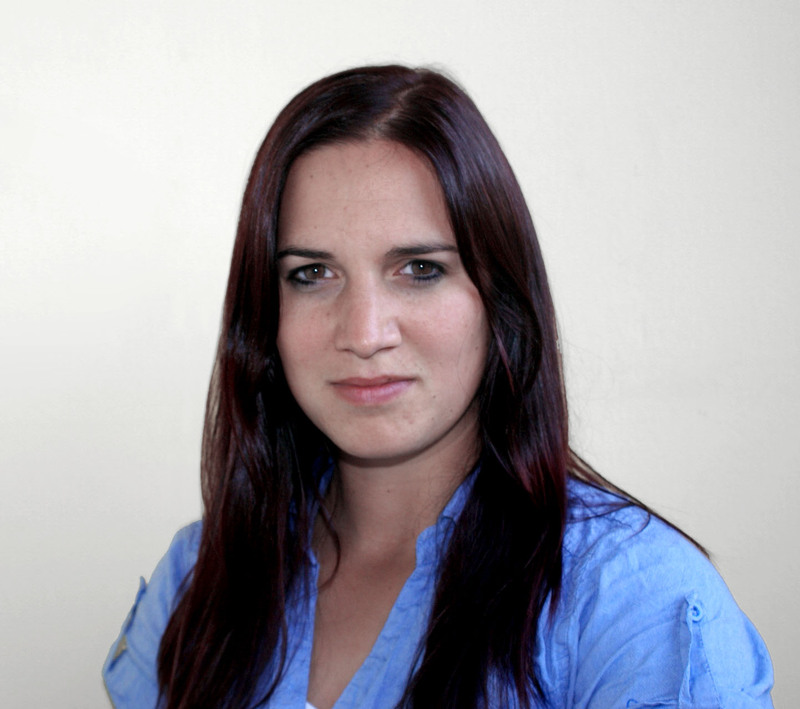 Wendy graduated as a print designer and quickly got into bedding/nursery design. I really love her style that she describes as “simplistic, graphic and clean, that mixes playful patterns with quirky hand drawn outlines”. The Surface Pattern Design Guild is an online community of professionals in the textile, surface, and pattern design industry. You’ll find lots of tips and articles to learn more about the industry. As a professional resource, it is their mission to support their members by getting them in touch with the right information. The Guild is open to designers, illustrators, artists, and students within the industry. But you don’t have to join to profit from the valuable information they offer. The blog features various designers, surface pattern design and business topics to help you along the way. This fun collection of surface pattern designs is continuously growing by really any designer that submits their work to the site. If you’re a designer yourself, you can submit your own surface pattern designs to be featured on the website. The website was a collaboration between developers Tim Holman and Claudio Guglieri. TIm, an Australian developer, focuses on design and interactivity and likes to “experiment and make fun little sites” on the side. Claudio, Design Director at Fantasy, is a well-known figure in the Web and design industry. Although he has won numerous awards (including an EMMY!! ), he has obviously found the time to still have a little fun and experiment with this site. Well, I sure am happy about that! As a graphic designer, I just appreciate the care they have put into the website and its interactivity. 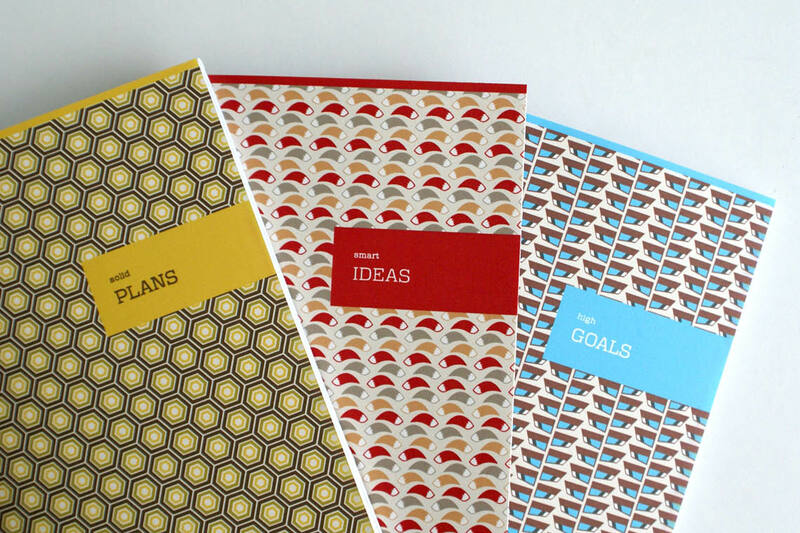 Tigerprint was founded by a group of ten stationery designers that supplied M&S, a department store in the UK. Today they have grown into a large empire with over 200 employees that still regularly supply M&S with unique designs. What’s great about tigerprint, that you too can join in on the creating. They hold regular surface pattern design competitions, where the winner’s designs get published for M&S. So if you’re into competitions, this is definitely for you. If you know anything about surface patterns and textiles, then you know Spoonflower. 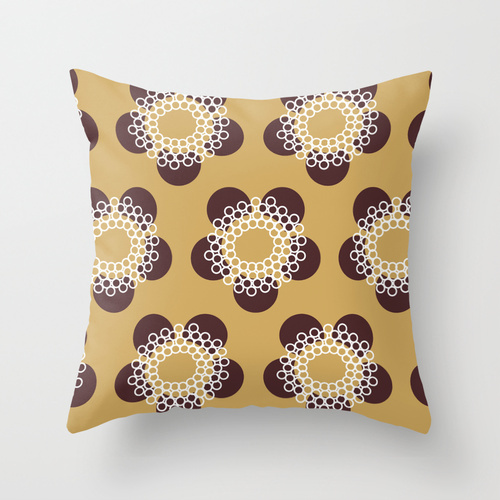 Spoonflower offers custom fabric, wallpaper, gift wrap and decal printing. Spoonflower makes it possible for you to design, print and sell your own surface patterns. How cool is that!! They also have weekly competitions you can join in and just browsing through their store is like a visual surface pattern library for inspiration. Spoonflower was founded by two internet geeks, Stephen Fraser and Gart Davis. Well, the idea came about when Stephen’s wife, Kim, persuaded her husband that printing her own textile was something a lot of other people besides her would appreciate. When I was new to surface pattern design, I actually took the Sellable Sketch class that taught me all the basics of the textile industry. I can highly recommend this class for you or any other class Michelle teaches. Michelle Fifis has founded Pattern Observer to stay informed of the latest trends. What started as a source of inspiration has turned into a place of learning, discovering and supporting. Michelle also shares her experiences as a designer and lets us in on the ups and downs of the business. Make it in Design is exactly that. This community wants to help you make it in design. It incorporates many ways to stay informed and to grow your surface pattern business. If you’re dead serious about your surface pattern business, sign up for the Design School. The Art and Business of Surface Pattern Design is one of the most popular surface pattern design classes, there is. They also offer live workshops and design masterclasses. If you’re not into online classes, stay informed through the MOYO Magazine. This is a magazine solely dedicated to surface pattern design. Of course you can just browse the site and find lots of helpful resources. “Make it in design” was founded by the very talented surface pattern designer Rachel Taylor and award-winning entrepreneur Beth Kempton. I hope you found this list to be helpful to jump into the world of surface pattern design. This list is not a ranking and I am sure there are many other interesting blogs on the subject. Can you think of any other great surface design blogs that belong on this list? Which ones are your favorites? Simona Cellar is the founder of anomis. A designer who focuses on the element of surprise in her designs. Come on a journey of discovery and find the hidden beauty all around you. Join the mailing list here and get inspiring articles. This entry was posted in anomis News, Inspiration, Surface Pattern and tagged top surface pattern design blogs. Bookmark the permalink. Hi there, I am Simona Cellar, a Swiss graphic designer and the founder of anomis. I'm passionate about the pretty little things that make life just a bit sweeter. Here, you'll find inspiration of beautiful things that enhance your life. Enter your email address to follow my blog and get monthly updates by email. Anomis creates uplifting surface patterns for a variety of products.